(AP): Britain, Europe’s centre for investment funds, is set to lose a clash with France on new, tougher EU rules for the hedge fund industry that finance ministers will haggle over on Tuesday. Paris leads most EU governments in favouring greater restrictions for alternative investment funds based outside the 27-nation bloc. A lack of transparency and speculative trading have been blamed for contributing to the financial crisis, including Greece’s debt troubles. The new law, when completed, could block foreign funds from Europe if they don’t face tight oversight at home. This is aimed at funds based in tax havens like the Cayman Islands where supervisors might not be checking on risks they are taking on. (CNS): Police have confirmed that they believe they have identified the individual responsible for yesterday’s bomb hoax call made to the First Caribbean Bank, yesterday morning Monday 15 March. The RCIPS said on Tuesday that officers are working with medical authorities and the legal department to determine the individual’s medical condition and whether it is appropriate to bring charges in this case at this time. The call which was received by the bank at around 9:30am led to the evacuation of all three ofthe banks branches and police also blocked off roads in the down town George Town area, bringing business to a standstill. Tom Crawford, the bank’s Managing Director, said yesterday that he was pleased with the expedient way in which the banks emergency plan was executed and there had been minimal disruption to business operations as a result of the incident. Bomb scares and hoaxes are extremely rare in Cayman but in May 2004 the RCIPS dealt with a bomb hoax on board a cruise ship in George Town Harbour and in September 2006 another hoax caused a stir on Seven Mile Beach at the Grand Cayman Beach Suites, on West Bay Road. 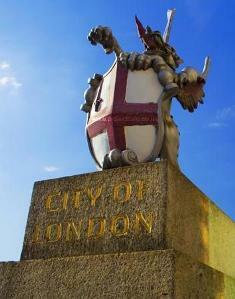 Cayman Finance backs Miller on public sector cuts. (CNS): The recommendations made in the Miller –Shaw report released by government this week have been applauded by the body representing the country’s financial services sector. Cayman Finance Chairman, Anthony Travers described the report as a comprehensive and academic work offering the premier a clear road map about what is the right policy for Cayman and in particular the cuts to public sector remuneration and benefits packages. The report which calls for a drastic reduction in public sector spending rejects any introduction of taxation and further fee increases. 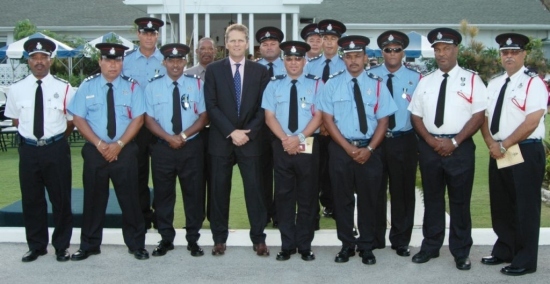 The 135 page report plus appendix, entitled Addressing the challenge of fiscal sustainability of the Cayman Islands, which was written by James Miller III, David Shaw and Kenneth Jefferson, was commissioned by the CIG as an independent review of the country’s revenues and expenditures. The report was conducted against the background of the UK imposing a review of government earnings and spending as a result of the FCO’s approval for further borrowing in order to address the 2009/10 benefit. The overseas territories minister Chris Bryant had asked the government to look at how the CIG’s revenue base could be broaden to a more sustainable level and had asked government to examine possible new forms of taxation. The report however has completely rejected the notion of any kind of taxation and while the premier said on Monday following his trip to the UK that the FCO has accepted the recommendations to reduce public sector costs it would have liked the authors to have examined revenue raising as well as spending cutting measures. 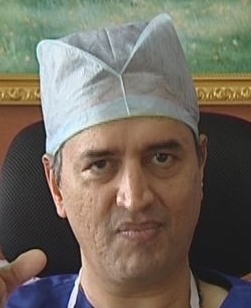 (CNS): The move to develop a major medical facility in the Cayman Islands has taken another step forward with the announcement that Dr Devi Shetty will be coming to the Cayman Islands next month to finalize the plans for his hospital. Dr Shetty’s decision to choose Cayman for his latest project is being heralded as a step towards the goal of attracting medical tourism. The facility, during and after its development, could also offer a significant boost to Cayman’s domestic economy, offering work and business opportunities for local people. A spokesperson confirmed that the project is still very much on the table. Although the full details of Dr Shetty’s plans for Cayman have yet to be revealed, he has said he aims to serve Americans in search of lower-cost medical care. The plan, he says, is to build and run a 2,000-bed general hospital where procedures, both elective and necessary, will be priced at least 50% lower than what they cost in the US. Dr Shetty has said he hopes it will draw Americans who are either uninsured or need surgery that their plans don’t cover. The facility will offer low cost healthcare to Caymanians as well as boost the local economy. (CNS): Richard Barber of PricewaterhouseCoopers (left) has achieved the accolade of becoming the winner of Cayman’s first ultra distance, endurance race. Off the Beaten Track trail run was a locally organized fundraiser in support of Facing Africa. Barber completed the 50km long on and off road race in an impressive 4 hours, 41 minutes and 33 seconds. The runners who ran as teams as well as individuals ran started at Calico Jack’s on Pubic Beach and ran a loop along the West Bay Road, through George Town into South Sound, and then swinging back north through George Town all the way up to West Bay before winding back to Calico’s along the beach. KenKrys, Managing Director of Krys & Associates, who also ran the entire race, is well known locally for running the grueling Marathon Des Sables, an ultra-distance race across the sands of Morocco, which takes place annually to raise funds for the same charity. Jane Wareham a local attorney and consultant involved with raising funds for Facing Africa for some time said forward looking businesses understand giving is good for the local community, good for business and for Cayman’s international reputation. “We are extremely grateful to all our runners, volunteers and corporate sponsors for their generous contributions,” she added. Participants in the race were comprised of individuals and teams of six from various local organisations. The winning team “Burtons Burners” was sponsored by local financial services professional, Clay Burton and included Marius Acker, Daniella Skotnicki, Adam Andrews, Tim MacDonald, Erin Lynch and David Forrester. The team completed the course in 4 hours, 1 minute. “It’s great to take part in a race with a difference. All the runners seem to have enjoyed the challenge of going off road and the relay format made the race accessible for runners of all abilities,” said one of the team. All monies raised will be used to pay the transport costs of teams of surgeons and their medical assistants to travel to Africa to help victims of Noma, which affects young children, the poverty stricken and malnourished who live in Sub-Saharan Africa. Over 100,000 cases occur every year, 90% of which are fatal. Each visit to Africa costs an average of $100,000. More information about the race can be found at: www.offthebeatentrack.ky. More information about Facing Africa can be found at www.facingafrica.org. (CNS): One lucky school in the Cayman Islands will win a $5,000 CARIFTA Sports Package Makeover as a result of a text promotion being launched by LIME. This initiative is part of the phone company’s CARIFTA School Sports Campaign designed to give greater visibility across the Caribbean to the Annual CARIFTA Games which this year are being held in the Cayman Islands and sponsored by LIME to the tune of US $200,000. It also aims to assist in financing Caribbean schools’ athletics programmes. One of the winning schools across the Caribbean will also win a visit from Olympic Medallist Asafa Powell – currently the third fastest man in the world. A random selection from among the winning schools from each LIME country will determine which lucky school will win “A Day with Asafa”. Students and faculty at the school will have a chance to meet and interact with the world-class athlete who has a solid reputation for good conduct, exceptional professionalism and great sportsmanship. He said that CARIFTA was one of the most important events on the region’s athletic calendar and plays a critical role in developing young athletes. “Through LIME’s sponsorship, the goal is to increase the visibility of the games, particularly among secondary schools, for maximum participation across the Caribbean”. Become a LIME fan and follow the CARIFTA Games with us on: www.time4lime/facebook and www.trwitter.com/time4LIMENews. To participate, LIME postpaid and prepaid mobile customers, 18 years or older, simply text the word “GOLD” to LIME (5463) at normal rates and they automatically have a chance to nominate a school to win the grand prize or to win for themselves, other exciting prizes. Prizewinners in each LIME country will nominate a primary, secondary or tertiary school to win the $5,000 Sports Package Makeover. Other officers received awards marking the 25th and 18th milestone years of service to the country. 25-Year Clasp: Divisional Officer Ronnie Dixon; Station Officer Mark Hydes; and Sub-Officer Colbert Miller. 18-Year Medal: Sub-Officer Ernest Barnes; Leading Fire Officer James Bodden; Fire Officer James Christian; Leading Fire Officer Elton Martin; Fire Officer Richard Pascal; Senior Fleet Technical Warren Scott; Fire Officer Robert Terc; Fire Officer Robin Walton; and Leading Fire Officer Kirk Watson. 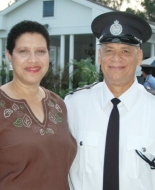 Earning the Colonial Police Long Service 30-Year Clasp was Senior Constable Gilbert McLaughlin. The 25-Year Clasp was presented to: Senior Constable Howard Campbell; Sergeant Betty Ann Ebanks; Senior Constable Colin Pryce; Senior Constable Mary Lee Reece; Senior Constable Osbert Smith and Accident Re-constructionist Vincent Walters. 18-Year Medal: Senior Constable Hong Borden; Detective Inspector Angela Campbell-McLean; Inspector Bennard Ebanks; Senior Constable Fran General; Inspector Richard Harford; Senior Constable Charmane Huntley; Senior Constable Mark Luke; Constable Treva McIntosh; Inspector Dane Pinnock; Chief Inspector Robert Scotland; Sergeant Dausea Scott and Sergeant Orville Williams. 25-Year Clasp: Prison Officer Richard Connolly; Lead Officer Harry Elliott; Lead Officer Carnel Simpson and Prison Officer Richard Wilson. 18-Year Medal: Director of Prisons Dwight Scott; Prison Officer Oscar Owens and Lead Officer Carlton Montaque. Special Constable Ricky Bent; Special Constable Nadine Crooks; Commandant Richard Harris; and Assistant Commandant Carolyn Parker. Also, Colonial Special Constabulary Clasps were presented to: Special Constable Marjorie Bodden; Special Constable Ivan Burgess; Special Sergeant Arthle Evans; Deputy Commandant Christopher Evans; Special Constable Robert Henning; Special Constable Linda McField; Special Constable Errol McLaughlin; Special Constable Glenn McLean; Special Constable Timothy Solomon and Special Constable Peter Wight. (CNS): Caymanians interested in postgraduate study in Britain have until Friday 19 March 2010, to apply for a prestigious Chevening Scholarship Award. The UK’s Foreign and Commonwealth Office programme offers funding to outstanding graduates for study at any of the many British universities that subscribe to the Chevening programme. 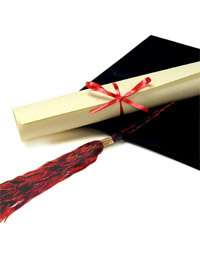 Awards are normally for one-year masters’ programmes, but may also be considered for other courses of a minimum three months’ duration. As the programme is intended for future leaders and decision-makers, successful applicants must demonstrate this level of potential. There is strong competition for the limited number of scholarships that are offered each year. Over the past fourteen years, some 25 Caymanians have received Chevening scholarships for postgraduate study in Britain. 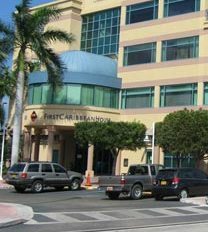 Previous scholars have returned to the Cayman Islands to take up employment in a number of Government Departments and elsewhere. The Chevening programme is administered locally by the Governor’s Office and the Education Council. Further information on the Chevening scholarship programme can be found at www.Chevening.com. Applications for the scheme are to be submitted online and the relevant forms and guidance can be found at www.chevening.fco.gov.uk/CheveningApplications/CA_Start.aspx. Further information is also available on the Governor’s Office website, www.ukincayman.fco.gov.uk. Completed applications must be submitted by the Friday 19th March deadline. Please contact Melenie Mylrea at the Governor’s Office (+1 345 244 2431 or Melenie.Mylrea@fco.gov.uk) if you have any questions. (CNS): Dart Realty (Cayman) Ltd said last week that it had successfully achieved over 2.3 million man hours without a lost workday case. It said there were no lost workdays from February 2008 – February 2010 as a result of the combined efforts and safe work practices of almost 500 construction workers who have worked at Camana Bay over the past two years, including employees from over 65 contracted firms. The company said this achievement was down to a solid safety program, training, education, communication and an outstanding safety culture amongst the entire team. All employees and contractors of Dart Realty are required to comply with the Cayman Islands New Construction Regulations and with the regulations of the Occupational Safety and Health Administration as set forth by the U.S. Department of Labour. “It is through great teamwork and individual awareness of hazards and risk that this milestone has been achieved”, said Julius Jacky, (above) Safety Manager. Having been with the Company for a number of years Dart said Jacky was instrumental in providing the framework for the safety standards and in overseeing and implementing the training programs. “This is a significant accomplishment that our employees and contractors should be very proud of and is a testament of Dart Realty’s ongoing commitment to maintaining the highest standards of safety possible,” he said. In addition to intensive training programs, Dart Realty has established a safety committee that works successfully with its employees to ensure ongoing safe operations and is comprised of members from different departments of the organization. Employees are held accountable to this committee and are continually reminded to keep safety as a first priority in their workplace. Over the last two years, the construction projects have included residential phases; The Observation Tower, and commercial buildings. The crew of Camana Bay alongside its contractors will break ground later this year on a new, 100,000 square foot mixed-use Class AA commercial office and retail development. 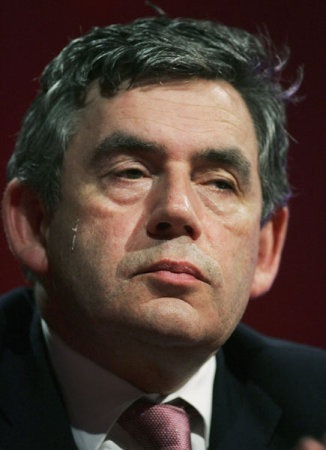 (Times): Gordon Brown has been dealt an embarrassing blow by Brussels with a warning that Britain must do more to curb its spiralling debt. The European Commission wants Labour to outline further spending cuts and spell out where the axe will fall. The intervention, a week before the Budget, will electrify the debate over the economy. David Cameron promised in a BBC interview last night to fight the election campaign by going farther than Mr Brown in saying where cuts will be made. The Commission is due to release its latest assessment of Britain’s plans to reduce the deficit tomorrow, but a leaked draft makes uncomfortable reading for the Prime Minister and Alistair Darling, the Chancellor.